University of Puget Sound, located in the vibrant city of Tacoma, Washington on the shores of Puget Sound and at the foot of Mount Rainier, is one of the few liberal arts colleges in the country with a renowned School of Music—a School of Music that is uniquely positioned to prepare students for professional careers in music and support non-majors interested in continuing their study. Our active faculty includes artist-teachers, scholars, and creative professionals who work together to train the whole musician—to help students achieve excellence in both performance and musical understanding. 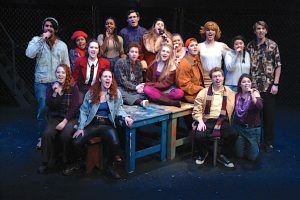 Through our Bachelor of Music degrees (in performance, music education, and with elective studies in business) and a Bachelor of Arts degree, our students gain the skills and experience to go on to the finest graduate schools or pursue careers in performance, teaching, scholarship, music business, or other music-related fields. 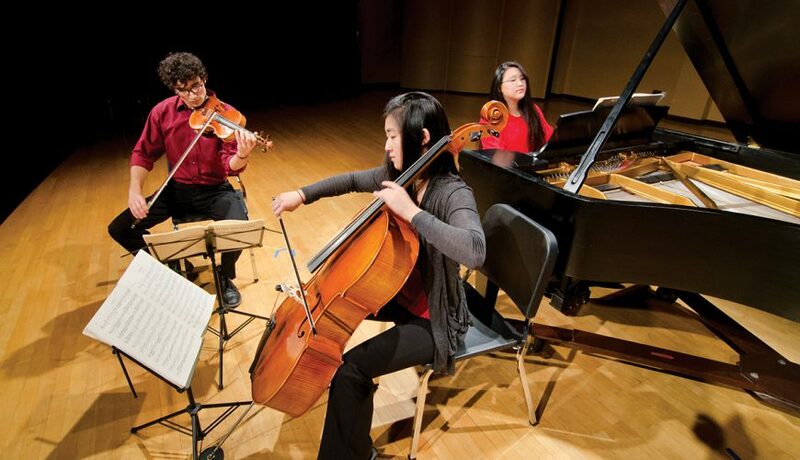 Music scholarships are offered to music majors and to non-majors who take lessons and perform in ensembles. 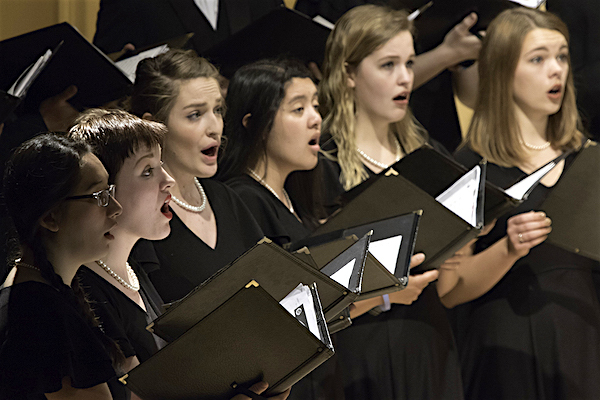 Our nine choral and instrumental ensembles, multiple chamber groups, stage productions, and numerous music clubs offer many opportunities to perform. 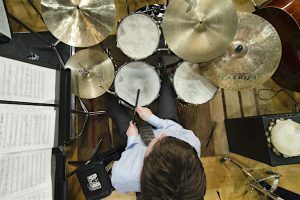 Even if you choose to major in another subject, double major, or minor in music, there are rich possibilities for continued musical study and performance here in our School of Music. It’s more than just taking classes. 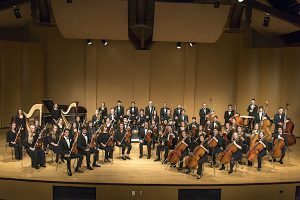 You’re a part of a vibrant music community with performance opportunities, master classes, chamber groups, and student-run clubs. 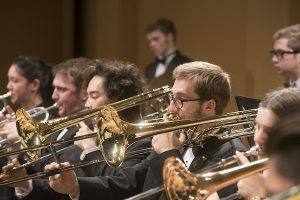 Numerous ensembles perform regularly on campus, including the Symphony Orchestra, Underground Sound (a cappella ensemble), Curtain Call (music theater review), Jazz Orchestra, Wind Ensemble, and Adelphian Concert Choir. School of Music faculty members perform in their own chamber music ensembles, are active soloists and music scholars around the globe, and perform locally with the Seattle Symphony Orchestra, Seattle Opera, Pacific Northwest Ballet Orchestra, Portland Symphonic Choir, and Tacoma Symphony Orchestra, just to name a few. They love music. They love mentoring and collaborating with young musicians even more. Your name and email address are held in strictest confidence by MajoringInMusic.com and University of Puget Sound... they will not be shared with anyone else.